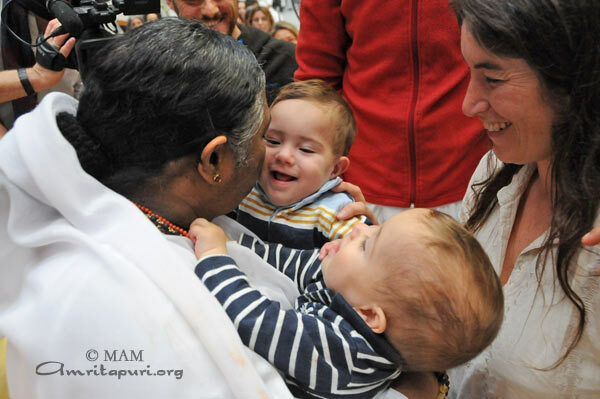 Amma travelled to London passing under the English Channel by using the Channel Tunnel, a 50.5-kilometre undersea rail line linking continental Europe with the United Kingdom. 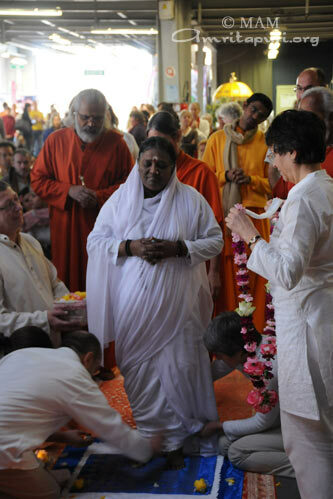 Award winning actress Gillian Anderson, who achieved international recognition for her role as Special Agent Dana Scully on the American television series, The X-Files, came to receive Amma’s darshan. 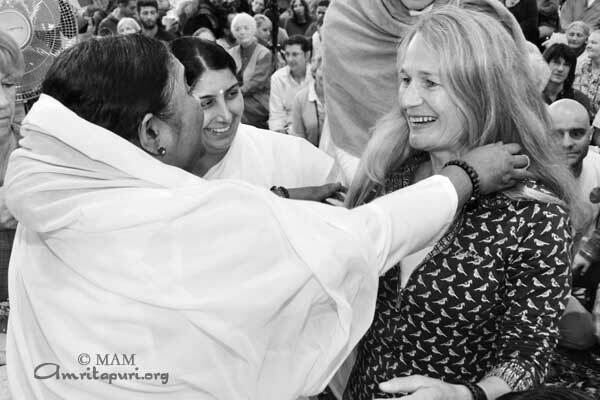 Throughout the program several renowned musician’s such as Tallulah Rendall came to receive Amma’s blessings and to express their gratitude and love for Amma’s visit in London. 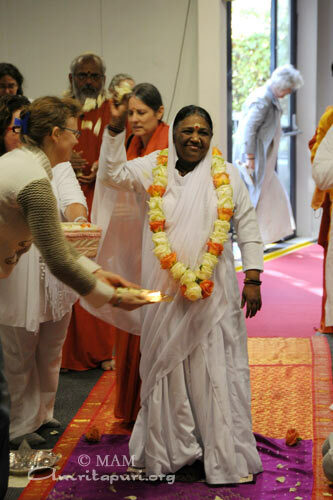 From London Amma left for the USA, where the next programs will be held in San Ramon and Michigan. 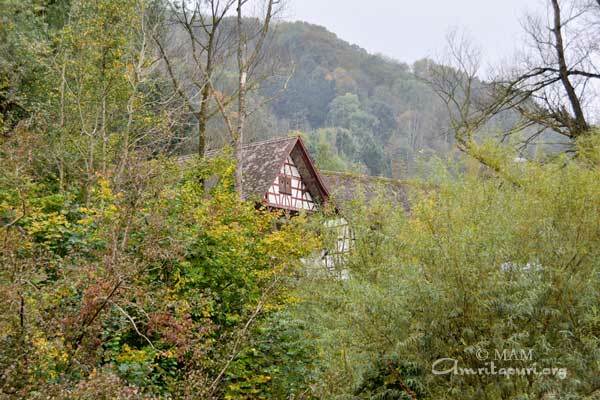 Before the Mannheim programs, Amma spent some time at Hof Herenberg, the German ashram, located in the beautiful countryside about an hour from the city of Mannheim. 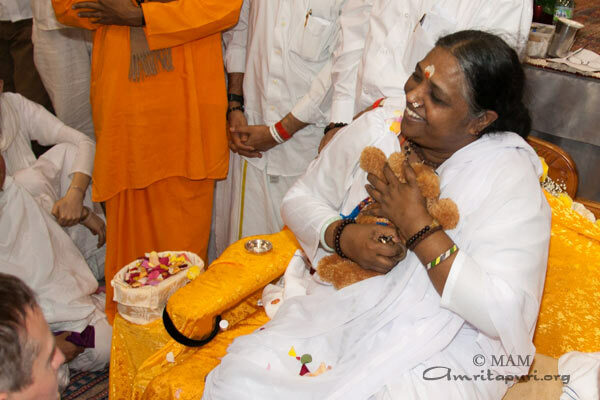 Amma distributed prasad and sang bhajans with local devotees and the ashram residents. 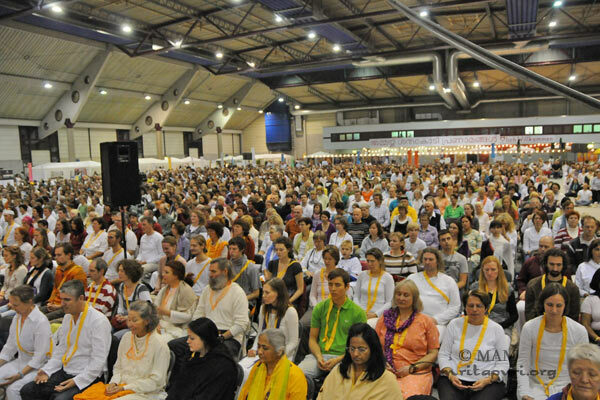 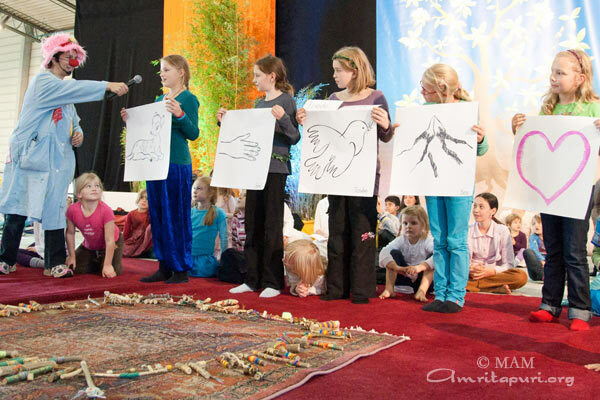 During the Mannheim programs, the devotees from Berlin, the capital of Germany, came to invite Amma to their city. 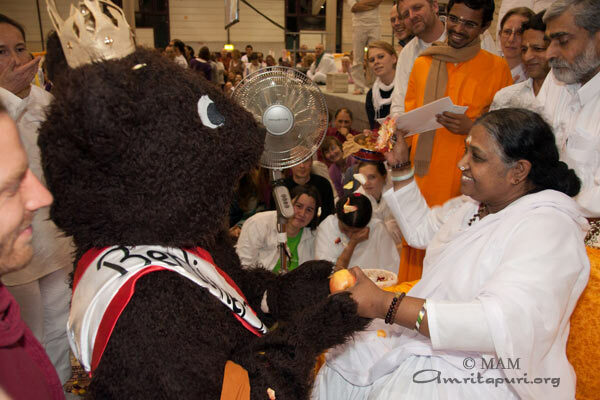 They approached Amma in a procession led by a large ‘bear’ which is the symbol of the city of Berlin. 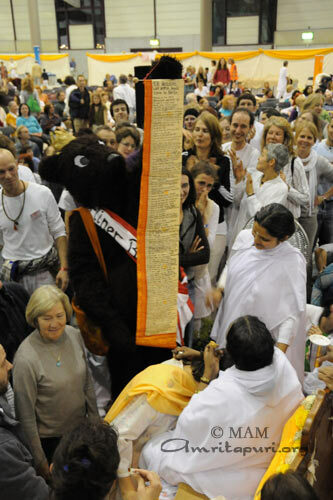 They then presented with a large scroll listing the 108 reasons why Amma should come to Berlin. 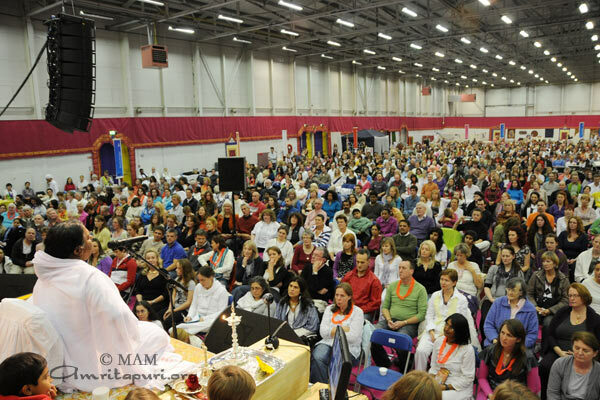 Everyone present was treated to beautiful cultural performances and music performed by the devotees, expressing their joy and gratitude to Amma. 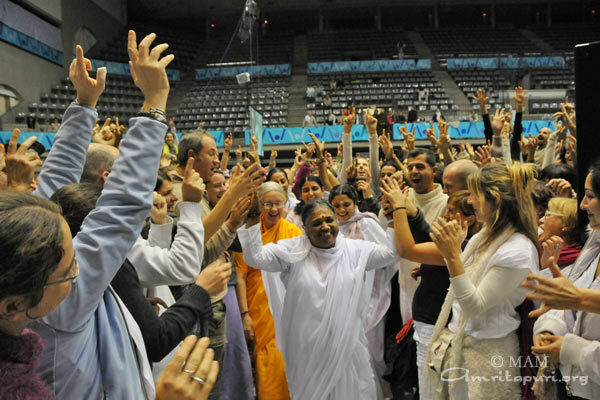 Amma was warmly welcomed by the local devotees at the Spanish MA Center . 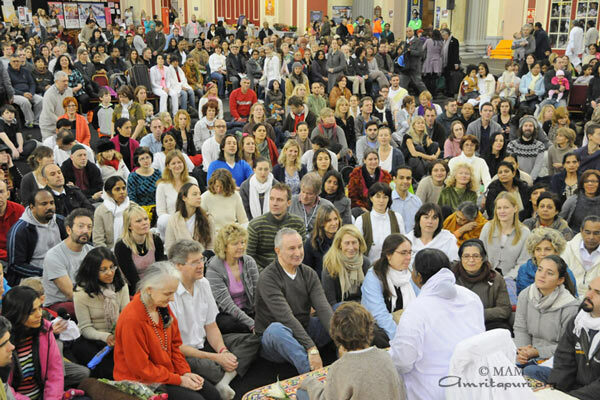 The Center is located in the outskirts Barcelona, the second largest city in Spain, very close to the holy mountains of Montserrat, which is a famous pilgrimage site for the Virgin Mary. 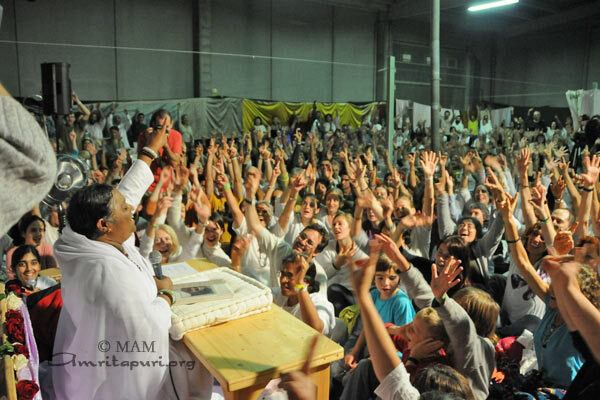 Amma spent a day there with all the local devotees and celebrated Diwali with everyone in the evening. 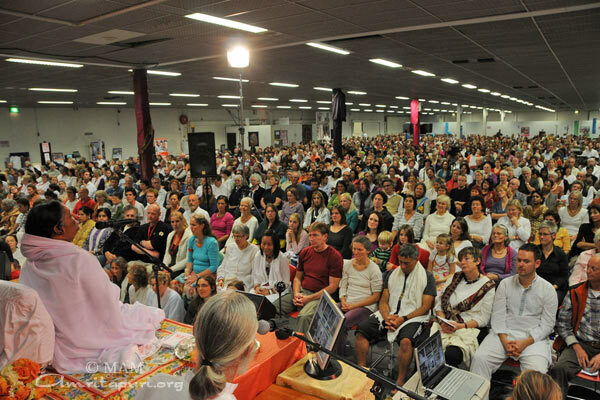 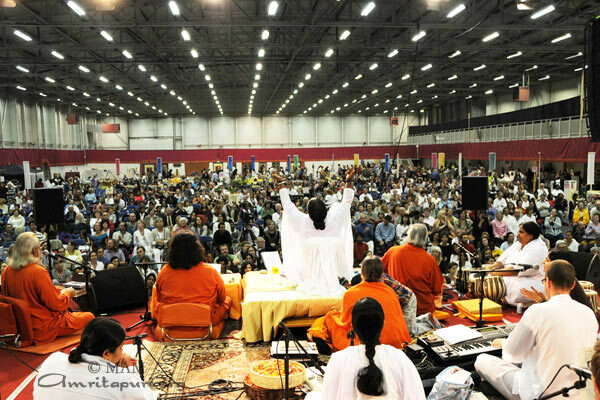 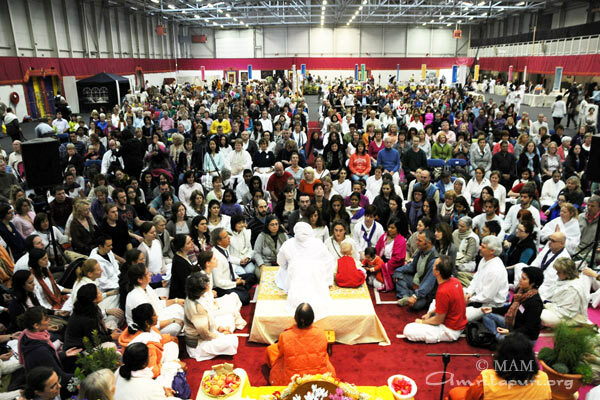 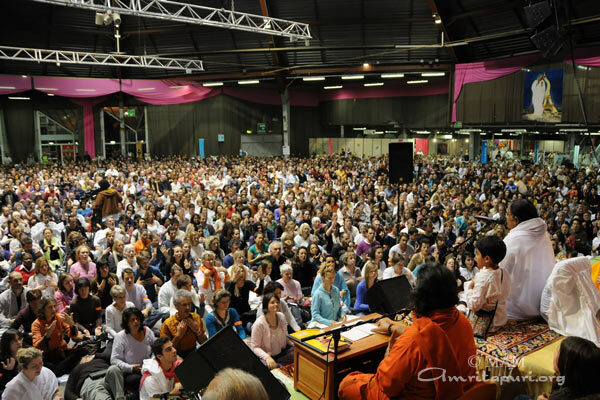 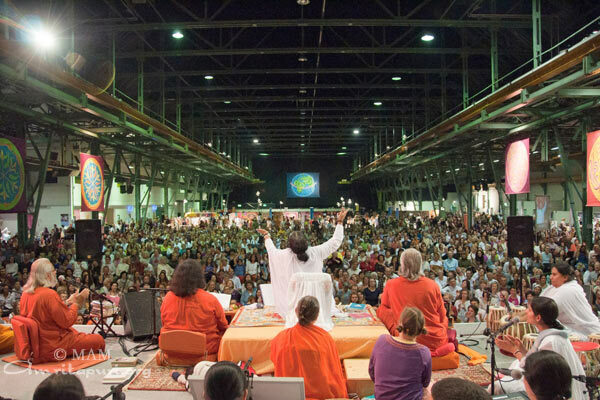 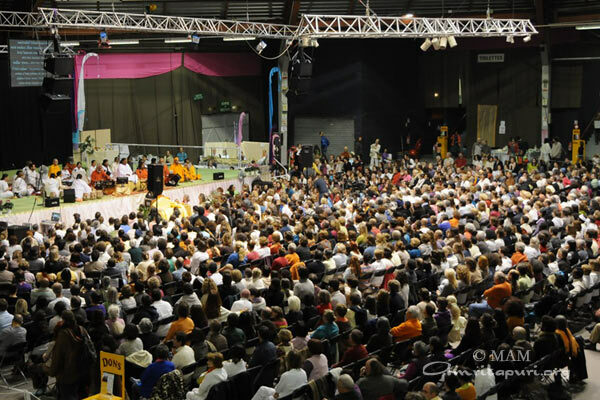 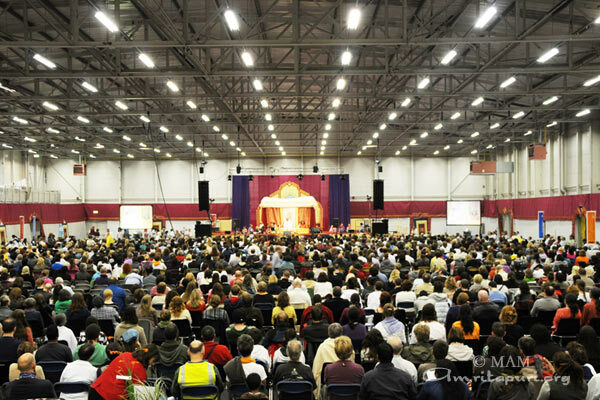 During the three days of darshan in Granollers, huge crowds filled the hall that was initially constructed for the Barcelona Olympics in 1992. 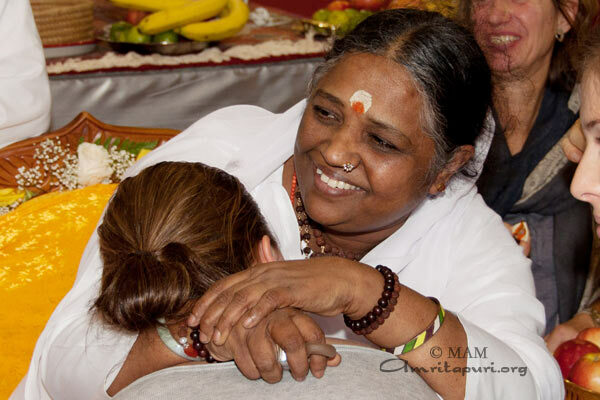 Each day you could see long lines of people from early in the morning waiting to receive Amma’s blessings. 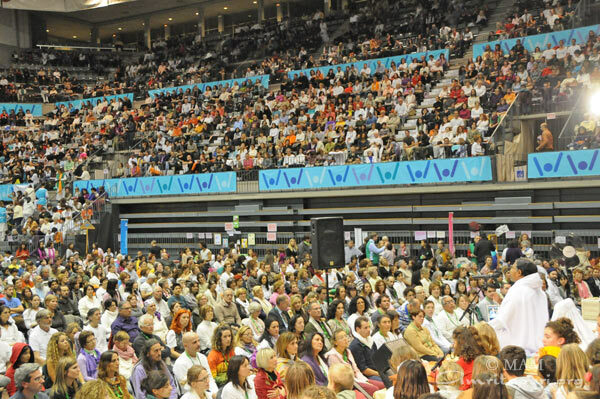 Josep Mayoral, the mayor of Granollers, Barcelona, came to welcome Amma on behalf of the city. 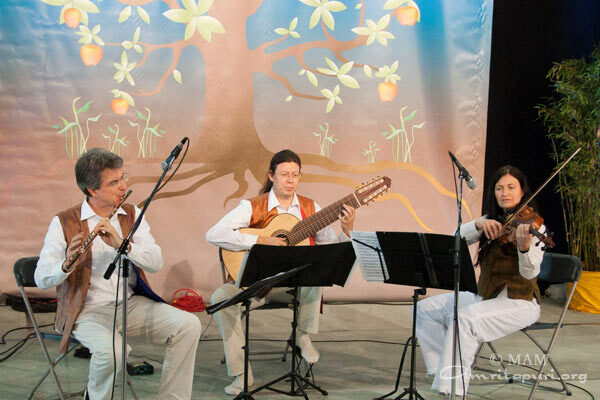 He was accompanied by Roger Pallarols, Councilor for Commerce and Small and Medium-Sized Businesses and Jose Maria Sala, Secretary of the Social Democratic Party. 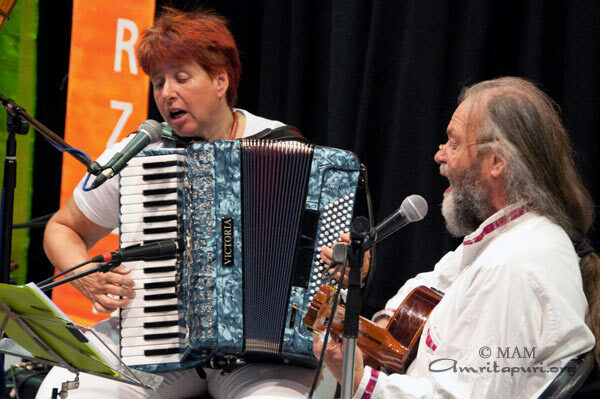 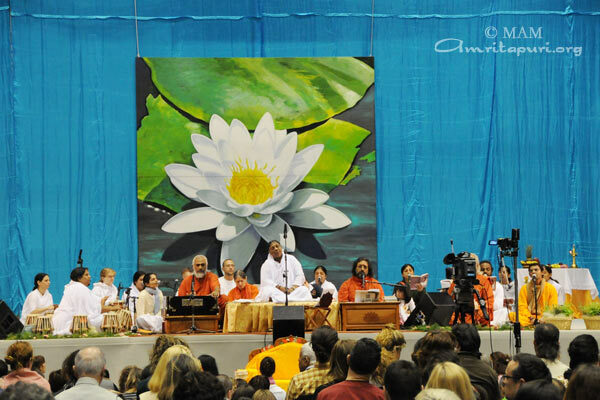 Throughout the three days of program several renowned musicians, such as violinist Alex Loscertales and pianist Sira Hernandez, came to perform for Amma. 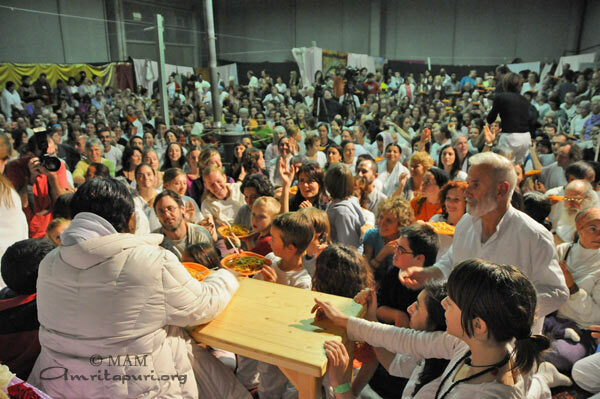 The devotees from the south of France gave Amma a hearty welcome as Amma reached there from Munich, Germany. 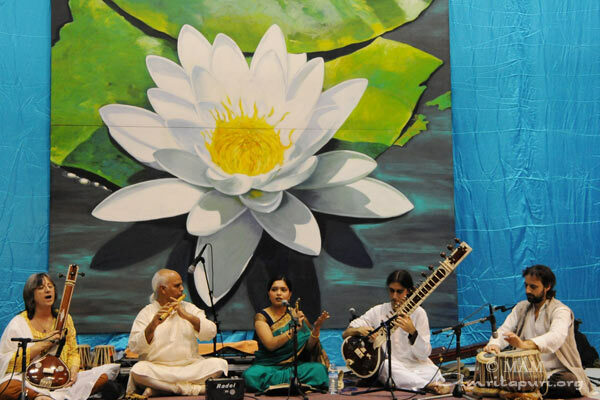 Throughout the three days of program several different cultural performances were presented, from classical Indian dances to a big performance from the children of the south of France. 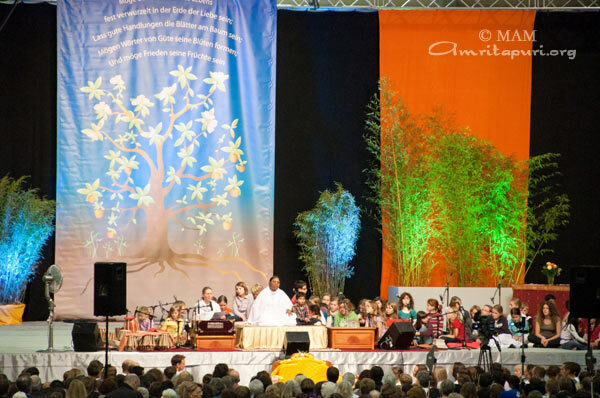 Long before the program started, devotees from all over Germany gathered outside the hall, eagerly awaiting Amma’s arrival. 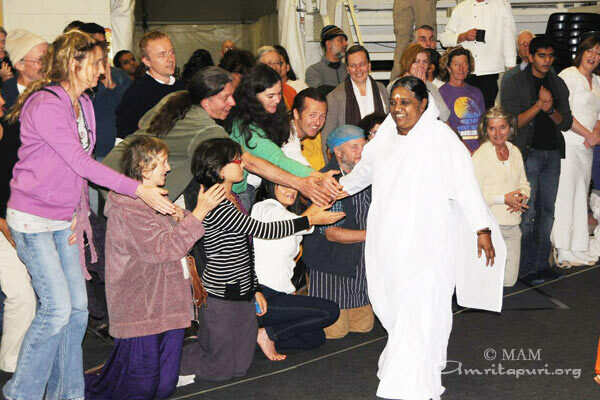 Their reception of Amma was heartfelt and enthusiastic. 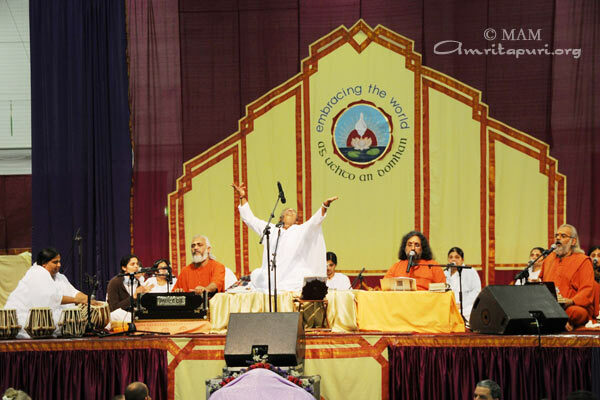 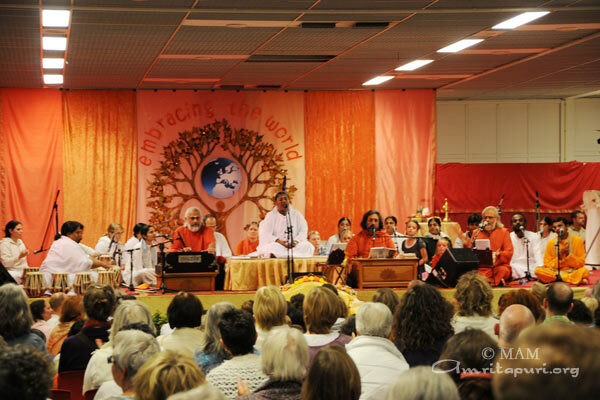 The devotees presented traditional music performances throughout the three days of programs. 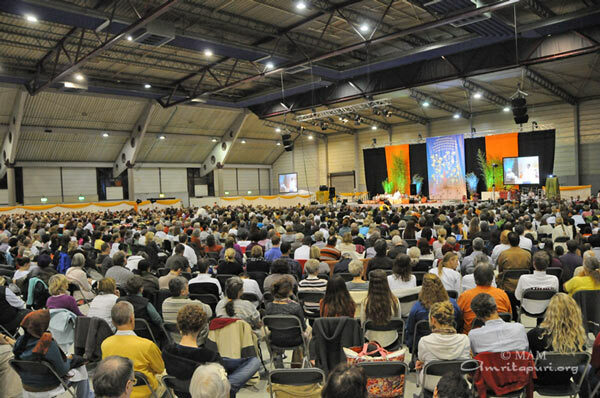 From the Netherlands Amma’s European Yatra moved on to the capital of France, Paris for the next 3 days of programs. 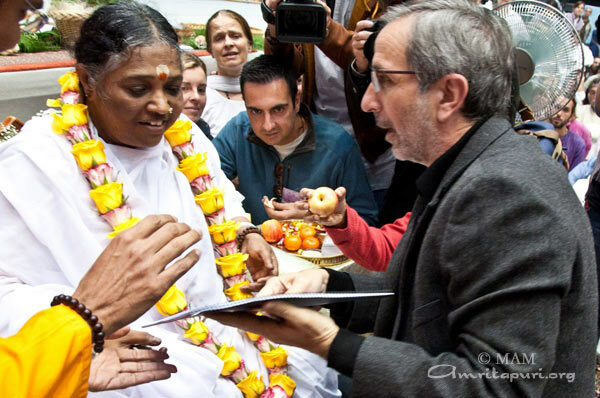 Green Friends France and AYUDH presented seeds for vegetables and flowers to Amma, which they had cultivated during “The Experience Week,” a summer workshop at the French Ashram. 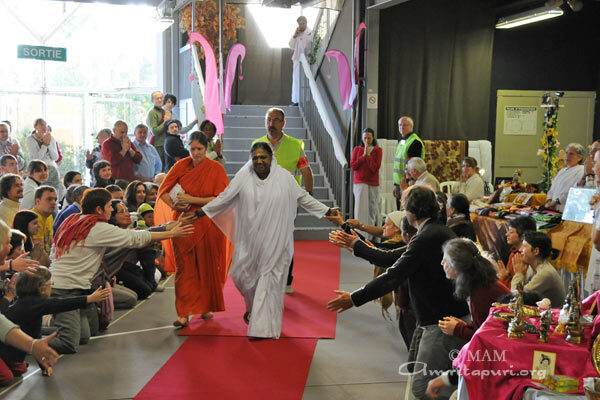 Because seeds in general are getting weaker and weaker due to the chemical farming, Amma asked to produce seeds using traditional methods and native varieties of seeds and then store them in a seed bank in the French Ashram. 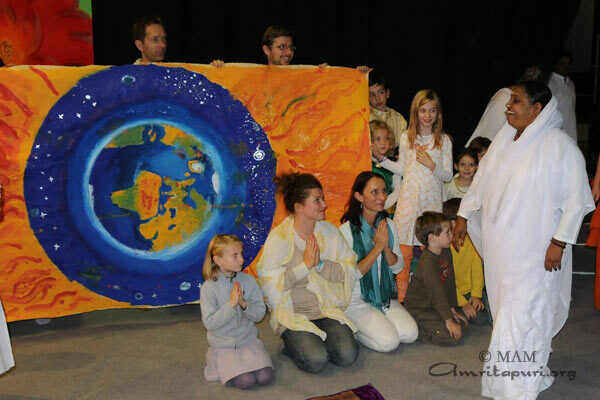 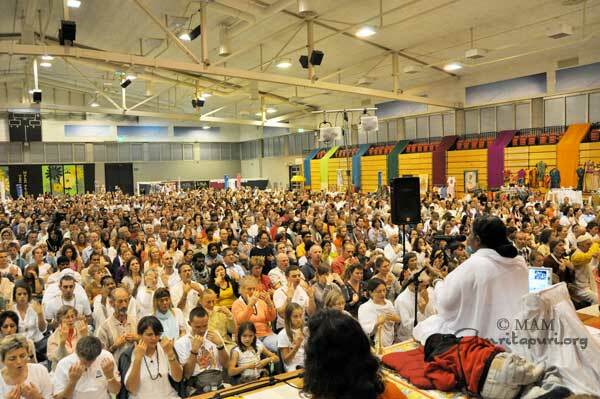 The French devotees celebrated Amma’s visit with a diversity of cultural performances. 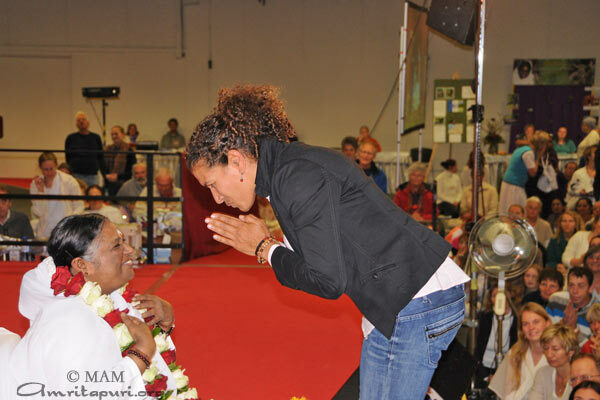 Famous French actress and singer Véronique Jeannot was amongst the many thousands of people who came to receive Amma’s blessings. 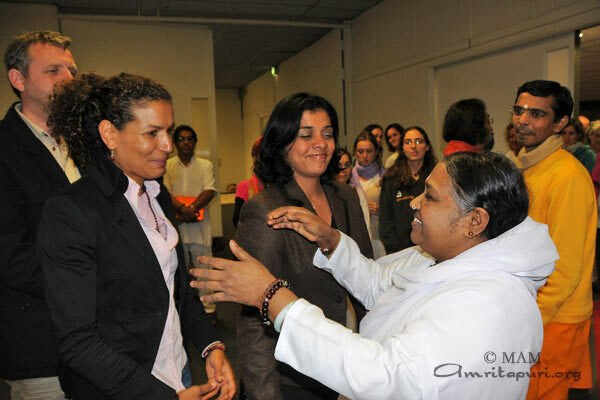 In Netherlands Amma was welcomed by famous Dutch actress and former female kickboxing world champion Lucia Rijker. 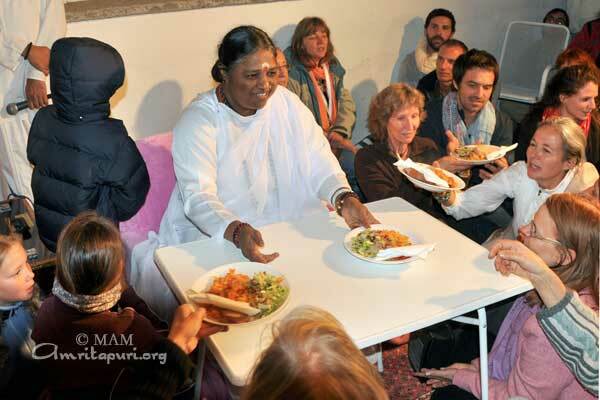 Amma’s program began on the 16th of October, which is also known as World Food Day. 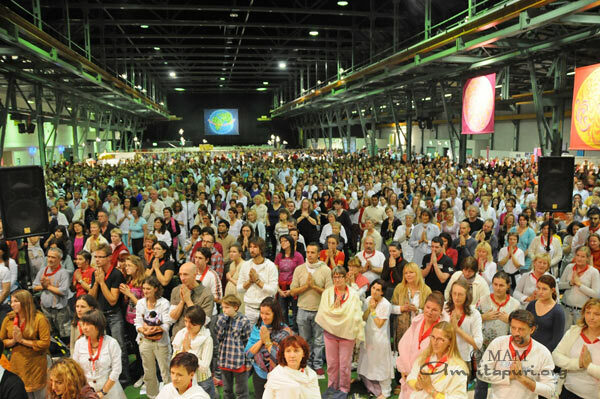 World Food Day was created to honor the founding of the Food and Agriculture Organization of the United Nations and is celebrated annually around the world. 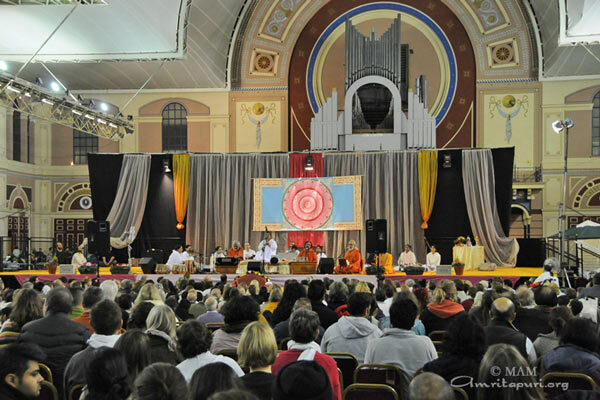 The devotees of Dublin together with famous Irish Artist Patrick O’ Reilly, created a display out of donated cans of food at the back of the darshan hall. 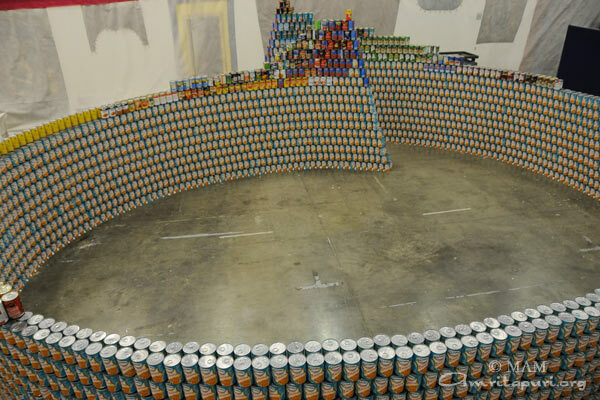 Throughout the two days of the program many people came to see the display and help build it by adding more and more cans as it continued to grow. 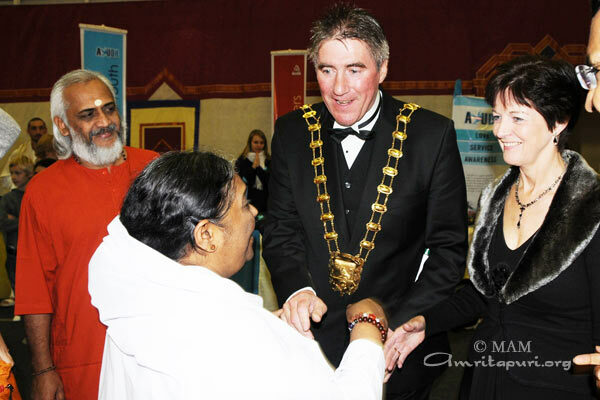 In an interview O’Reilly said: “All these tins will go to a food distribution point and will be distributed to people who are in need.” Amma was also presented with a garland by Jack Dunphy, the director of the Dublin Food bank. 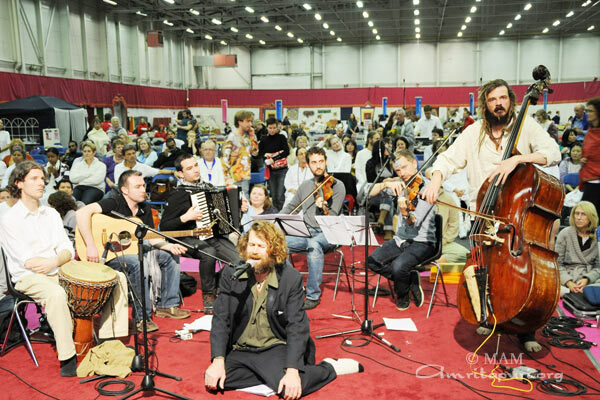 During the two days of programs several famous Irish musicians performed for Amma including Noirin Ni Riain, Martin Tourish, Liam O Maonlai and The Bahh Band. 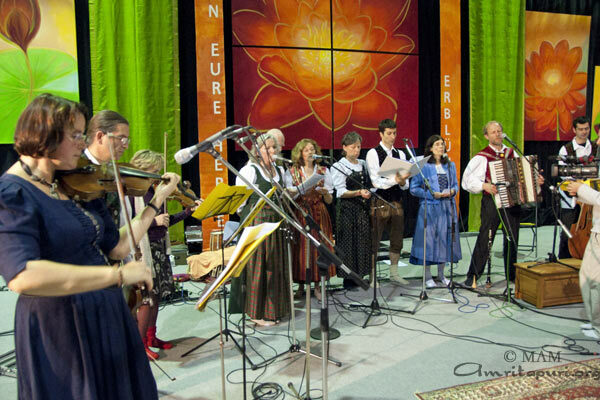 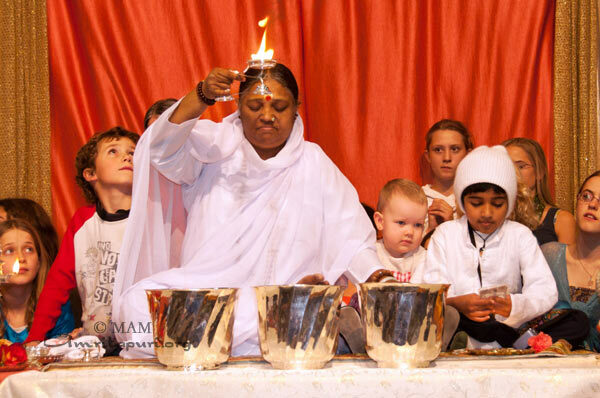 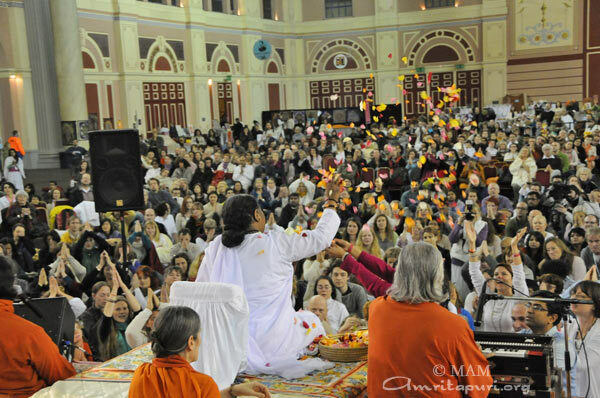 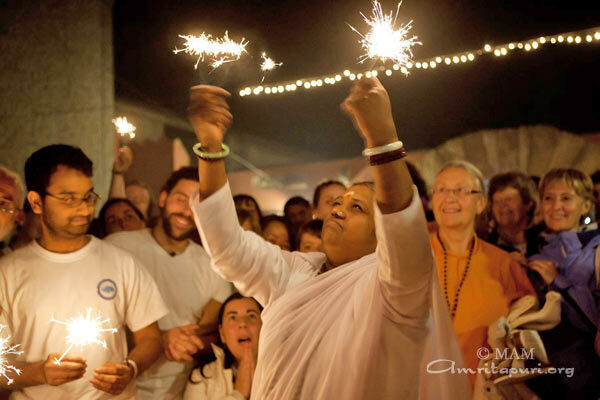 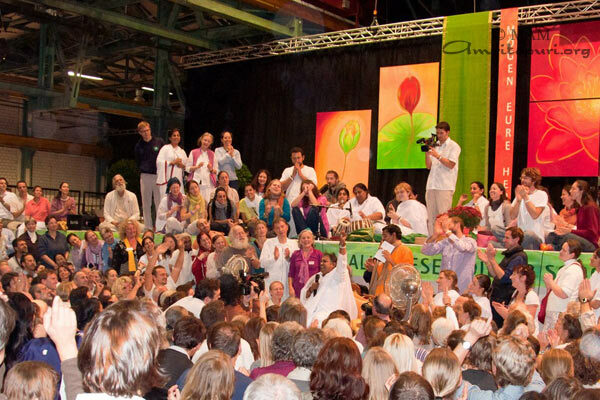 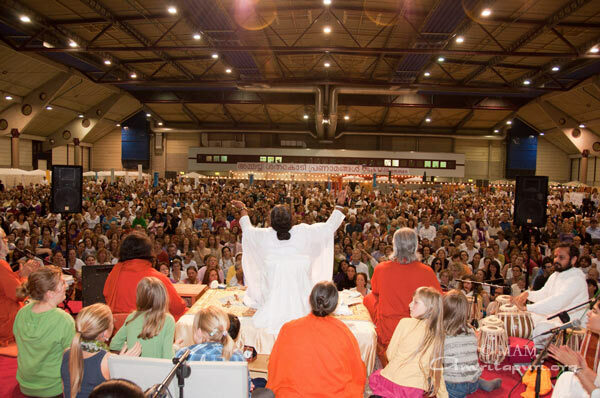 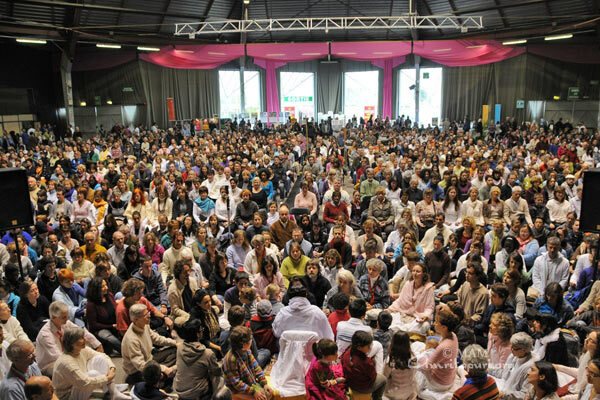 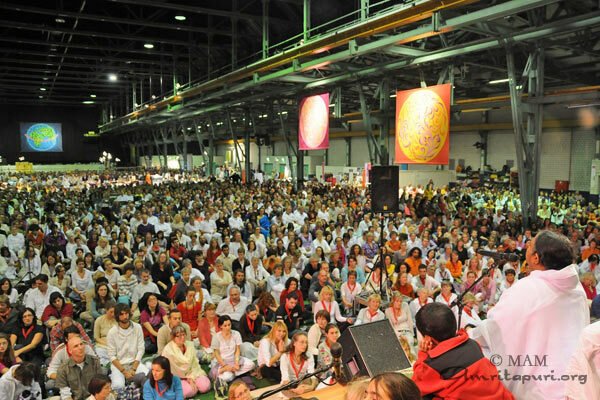 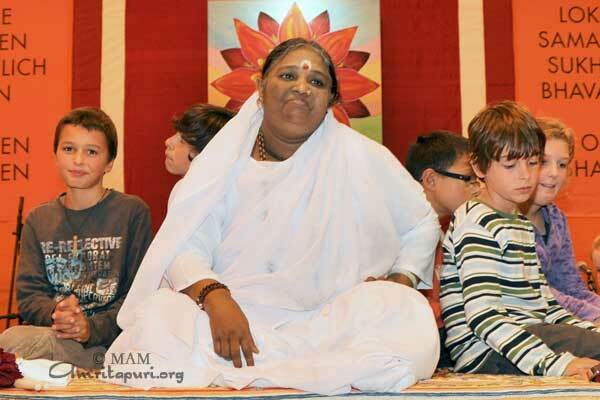 Amma’s Europe Yatra 2010 started in Winterthur, Switzerland. 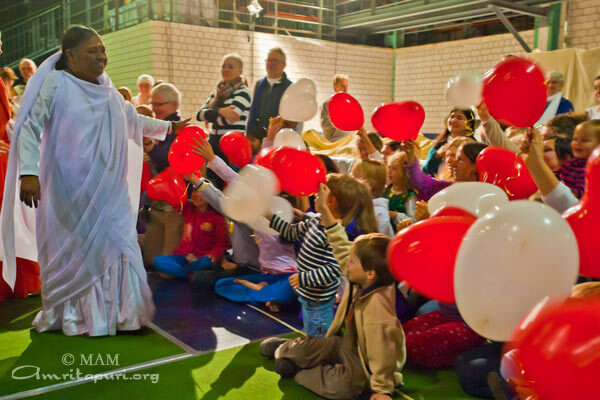 On her arrival she visited the new Swiss ashram, which is located in the beautiful countryside of Zürich Canton (District). 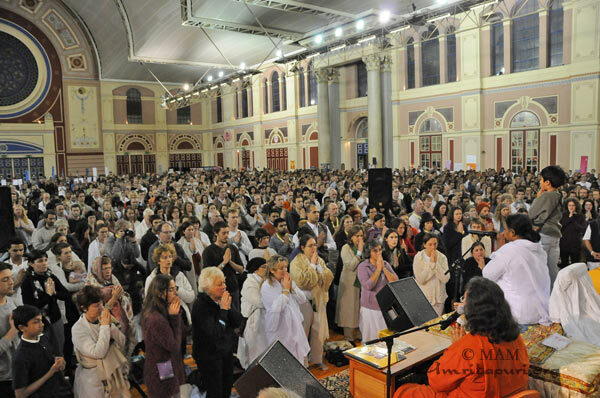 The Swiss devotees gave Amma a hearty welcome. 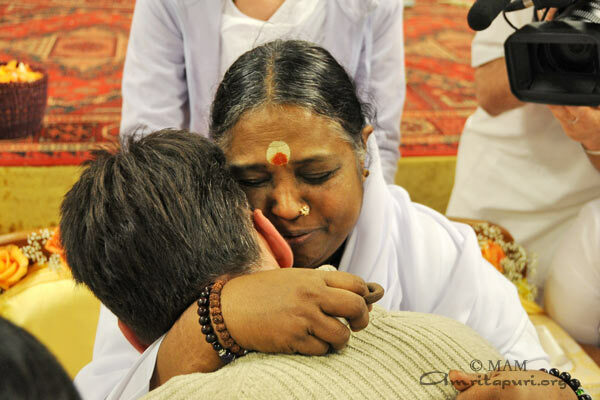 During the program Counsellor of the Indian Embassy in Switzerland Ajneesh Kumar, came to receive Amma’s blessing. 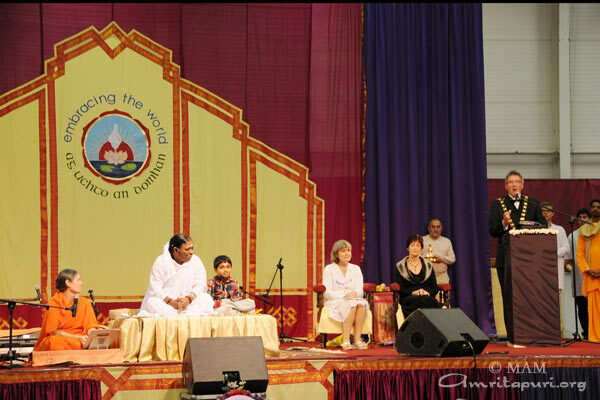 Famous Japanese pianist, living in Switzerland, Suguru Ito came to perform for Amma together with his wife Margo Cadias, a famous and well known classical opera singer from Poland. 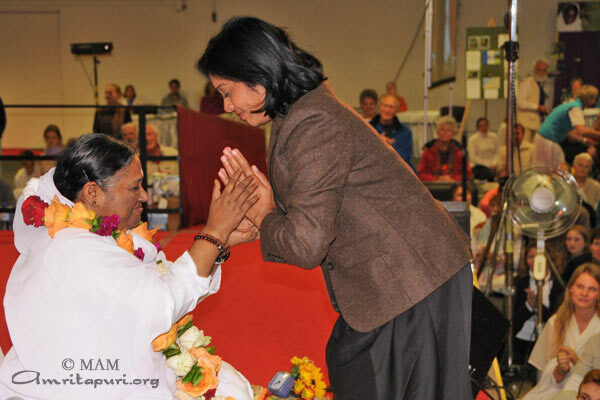 Both had previously performed numerous concerts in aid of Amma’s charitable projects. 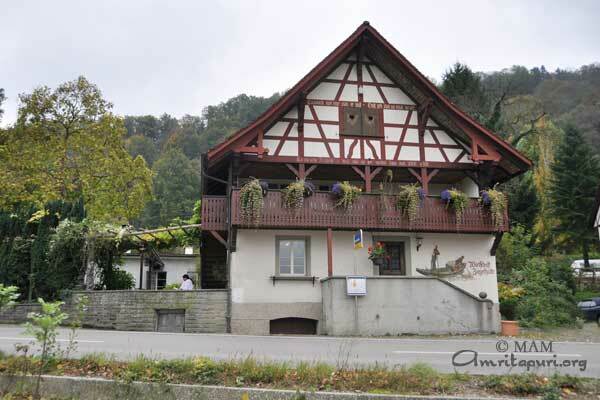 Josy ( french) + 33 4 94 00 39 75 / + 33 6 82 18 71 21.